Without a doubt this was one of the most impactful overseas trips I’ve ever had, and I’ve been to a fair number of places outside North America over my life: Okinawa, France, Saudi Arabia, Panama, the Philippines, St. Martin, England, Italy, Hungary, Austria, Poland, Bulgaria, and a likely a few others I’m forgetting. I did zero preparation for the trip. None. Normally my wife and I are huge planners. We get all kinds of research done for big trips and have lots of things lined up. This time I figured I’d just go over and jump in the deep end and float wherever currents took me. Good choice. First some of the bad things: India is a country where 300 million people live below poverty, and in India, unlike the US, poverty means poverty. People sleeping on blankets in the dirt with a torn tarp over their head poverty. 20 story five star hotels with tent cities next to them poverty. Hideous water giving you instantaneous dysentery and hepatitis poverty. It’s staggering if you’ve been in similar situations before, mind-numbingly shocking if you haven’t. The piles of trash across the entire country are sad—India is a land of amazing beauty and deep, deep spirituality. It was heartbreaking to see such a wonderful place being used as a dumping ground. You get past that, or at least find yourself able to move beyond it, and wow, what India has to show you! Noise, color, smells, sounds, noise, people, food. The list goes on and on and on. 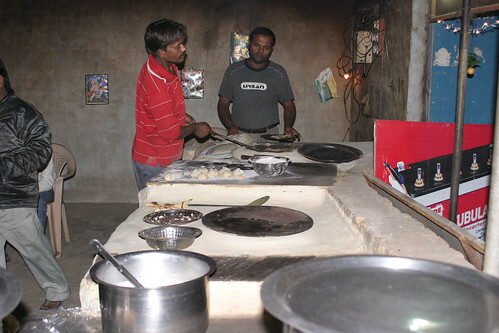 Food in India is a wonderful experience. India, like Italy, Spain, and Mexico, isn’t one style of cuisine. How could it be? Like those other nations India comes from a very diverse, fragmented history. 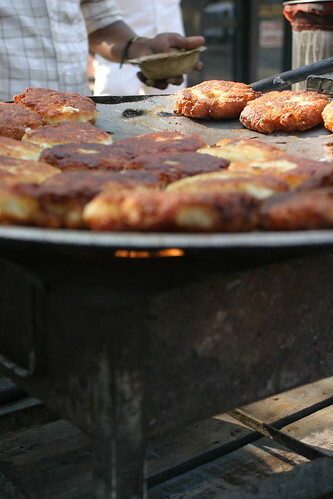 The food in the south was greatly different from that of the north, and all of it was great. I was lucky to have friends to explain some of the differences to me. As you’ve likely noticed if you’ve followed this blog for long, I’m a pretty serious foodie, so when I run across stuff like this in the street I’m in love! 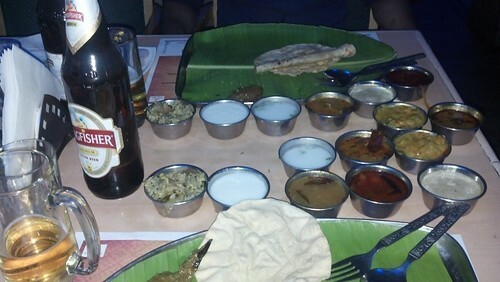 This was a dinner from a central region of India which wasn’t typical of Bangalore, but my pal DJ thought I’d enjoy it. How right he was! 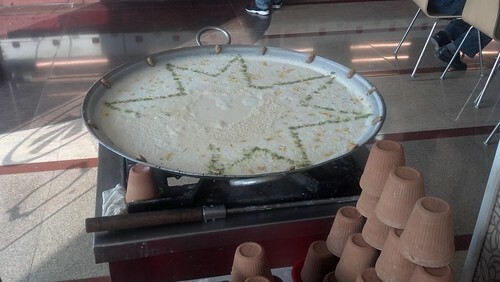 Here’s a milk drink we had at a diner-like place in Delhi. Indians are incredibly communal people. You might be taken aback at the depth conversations go between complete strangers. During our 16 hour day trip to Agra, my bachelor colleague got a grilling on his bachelorhood status, advice on why he should marry, and insight on a successful life—all from the middle-aged driver who we’d just met that morning at 6am. Get over the personal boundaries you might have and just enjoy the fact that Indians love people and want to know more about you. They’re also extraordinarily happy. I had some great meals with various people through the developer and tester communities, and all were filled with laughter and jokes. And good food. I was also amazed at the forward thinking mindset of the testing professionals I spoke with. India earned a reputation (partially justly) for cheap labor of poor quality. You need to lose that perception of them, right now. The people I spoke with at conferences, user groups, and customer sites were, for the vast majority, serious about taking their work to the next level. They’re looking at the long game, and they’re committed to making serious value-based transformations in how they do their work. I had some amazing conversations there that got me fired up and excited. It seems insane to someone from the West, but it’s similar to what I’ve experienced in my previous trips to Panama, the Philippines, etc. You’d think there would be non-stop wrecks, mayhem, and fatalities, but I didn’t see a single accident while I was there. I saw a lot of scratched up, dinged up cars, but not one wreck. 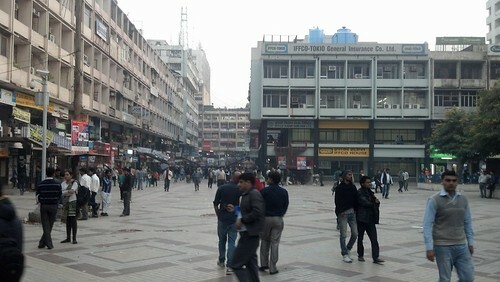 Indians understand the implicit system with the traffic, and they, as with so many other things in their nation, just figure out how to have huge numbers of people co-exist in small spaces. With cars. And scooters. And trucks. And pedestrians. And dogs. And tuk tuks. Horns require a section of their own. Honking was non-stop in Bangalore, prevalent in my countryside drives, and moderate in Delhi. If you sit back and listen the honking has an entertaining language all of its own. There’s the single, quick “toot” which is the equivalent of “Coming up on your right/left. Make way, please!” A bit longer “honk” might be used of the person the driver’s passing didn’t move out of the way quickly. Toots escalate through honks up through blaaats to the rarely used Angry Honk where the driver’s really frustrated. My first driver for my day trip to Mysore had a very light, happy honk. I didn’t like the driver for our Agra trip very much. He was Angry Honk right off the bat all day. Where to start? India is full of so many strange, wonderful, overwhelming things. 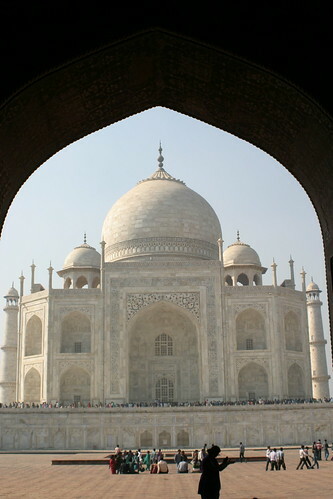 Yes, yes, the Taj Mahal is teh awesum, but you expect that. It’s the Taj Mahal. What was more impactful to me were some of the more intimate, less visited temples. I was at a temple near Mysore that was built in 849 that really moved me. 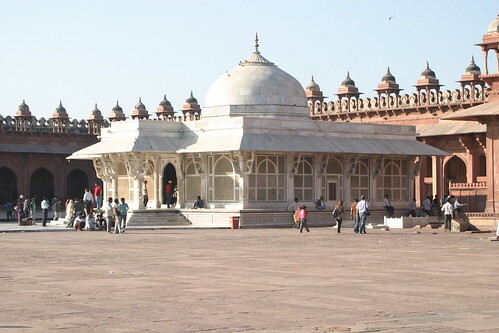 This palace below with a shrine to a holy man is a short hour from Agra, and I had one of the best times there. 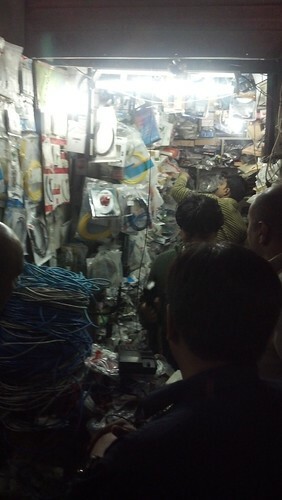 There’s also the crazy IT market in Delhi that is straight out of some cross between a peyote-hammered steampunk and MC Escher. All of this can just drive you crazy trying to take it all in. I stopped taking pictures very early in my trip, choosing to just absorb a lot and get a few pictures in here and there. I think that was a pretty smart choice. I’m really thankful I got the chance to go to India. I’m already trying to line up a return trip or two. I can’t wait to get back and see new old friends and new old sights. There are a number of other conferences as well, but frankly I’ve lost track. Rejection stings, for certain, but I have also come to view these rejections as a pretty good learning opportunity. After I get over the pain of rejection, that is. Secondly, I sit back and think about what might have been the cause for getting passed over. If possible, I try to get feedback directly from the selection folks; however, that’s not always possible. Content doesn’t fit. Maybe you’ve just missed the mark with your submissions to that conference. Some years ago I tried wedging a testing talk to an open source conference targeted more to business application developers. My abstract simply didn’t make a good case why the talk would fit in their conference. Make sure what you’re submitting will be useful to the conference organizers. Content lost in the chaff. You need to submit talks that stand out from all the others. “Intro to MVC” is outdated and doesn’t offer up anything unique from the 20 other MVC talks the organizers are looking through. Make a clear case of what value your session brings to the attendees. Poorly written abstract. It happens, even to someone who’s polished and submitted hundreds of abstracts over the last ten years. I’d like to think I’ve learned and don’t do this anymore, but it’s possible. I once wrote another blog post with some thoughts about writing a good abstract. Ego. Yes, sometimes my own ego gets in the way of submissions. Last year I put in four testing talks to a regional conference. None got accepted. Looking back I think I seriously slacked off when writing the abstracts because I felt I was well-known enough that the talks would get picked up anyway. That one stung but good—however, it was a good lesson learned. Respect yourself enough to put aside your ego and care about what you’re putting in. Remember, it’s not about you. Rejection’s not easy. I’ve gotten three rejection notices in the last two weeks alone. That said, view it as an opportunity to avoid lashing out and instead consider how you can improve for the next conference you target. I really like doodling around on the Paper app from 53. It’s a lot of fun, and lets me come up with some funky, off-the-beaten-path presentations. The work involved in getting those images out of Paper and into Keynote or PowerPoint is a hassle, though. You have to fire up iExplorer and dive into the Apps folder on your iPad when it’s docked. You’ll have to figure out which node under that Journals folder is the book you want. There’s some goo in the model.json files that can help you out, or just look at the Date Modified fields. The following Ruby script helps you pull the files out and drop them in a common folder, renaming them on the fly. Run it from the folder holding all the subdirectories with the files. You’ll need to edit sourceDir and targetDir as appropriate for your environment. Mad props to @rubyist who dug me out of some issues with how I was handling the filenames. My next step some day would be to figure out how to pull this stuff straight from the iPad’s filesystem; however, I’ll have free time for that in approximately 246 years, I think. Looking to learn more about creating flexible locators, ease your frustrations over dynamic content, and see some flexible ways to pull data from tables in a flexible fashion that’s not tied to sort or column order? Check out the recording of a webinar I hosted last week on these common web automation problems. This webinar’s very generic in content. As a matter of fact, most of the examples are in C# using WebDriver. I’ve got a wrapup posting too listing the various demo code I used during the webinar. Love Training & Coaching Software and Test Teams? Come Work With Me! Telerik’s Test Studio is looking for someone to help us make teams using Test Studio be awesome. We’re extremely passionate about ensuring our customers succeed over the long-term with test automation – and a huge part of that success hinges on getting Test Studio users great training in the early phases of their adoption efforts. We’re looking for someone to join the Telerik team full time to help deliver training and coaching engagements for our customers. As a trainer you’d be spending 25% – 50% of your time on the road at customer sites. We’ve got upcoming training engagements all across the US and internationally as well. You’d also be delivering training via online webinar sessions, and you’d be helping to evolve our existing training curriculum and materials. You’d also be responsible for helping create other content like blog posts, white papers, and videos. We’ve got a very different philosophy about training for our customers. Training is NOT a revenue stream for us; it’s explicitly about ensuring our customers’ long-term success with Test Studio. Moreover, our onsite training engagements quickly move from an overview of Test Studio into working with the customer teams to write tests in their own environment. You’ll quickly be flipping the switch from trainer to coach during these sessions! We’re looking for this position to be staffed up in either Austin, Texas, or Hudson, Ohio. Preference would be Austin – the ability to coordinate closely with our Test Studio team down there is a tremendous advantage. Working for Telerik is amazing. Working with Test Studio at Telerik has evolved into pretty much my dream job. I get to train and coach customers, I get to learn from wicked smart folks in the industry, and I work along with some incredibly awesome product and sales folks. Interested? Ping me directly at my work email address. I’d love to chat with you.